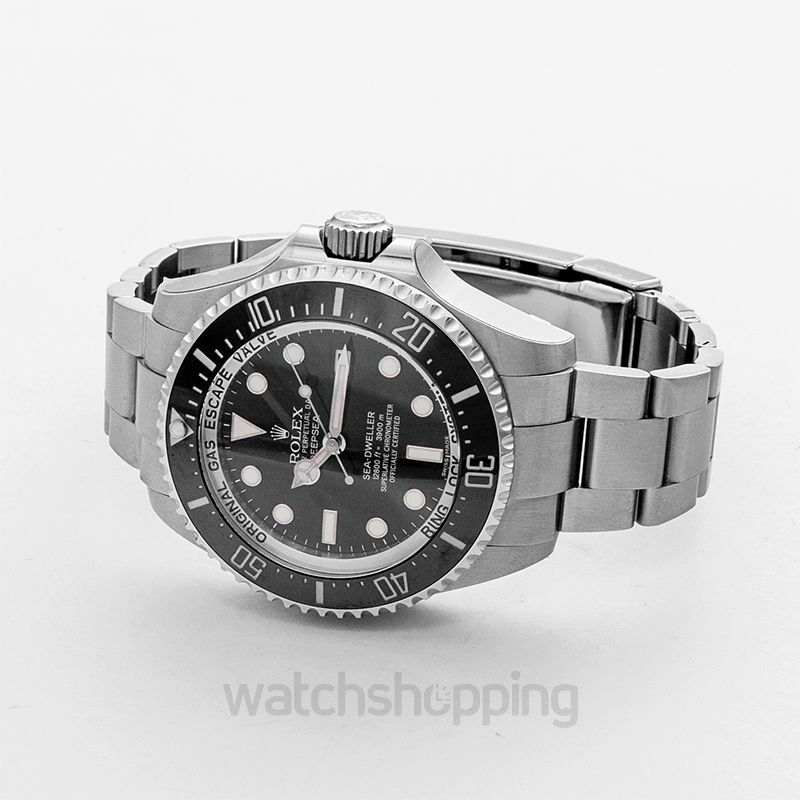 The Rolex Deepsea 116660-0001 is the perfect solution to your search for a luxury watch. It is a complete combination of luxury, uniqueness, and performance. 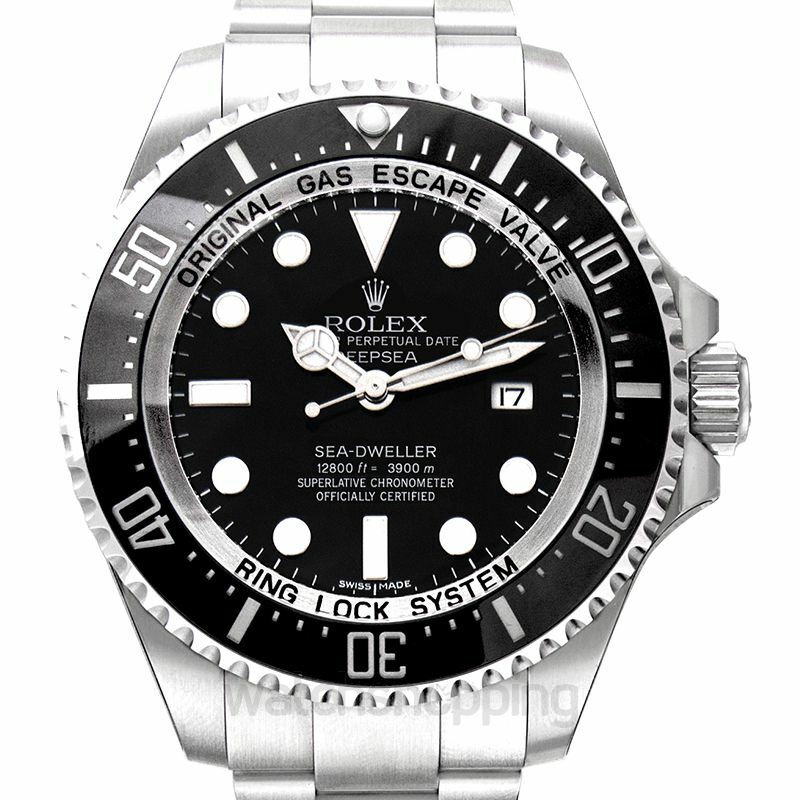 With the gloss finish of the all-silver oyster bracelet and black bezel, the watch is all about the perfect look. It has a black analog dial with silver luminous hour hands. 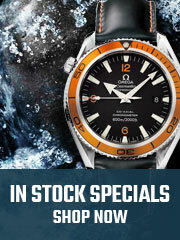 The dial markers are also luminous which increase the readability of the dial and also make it eye-catching. 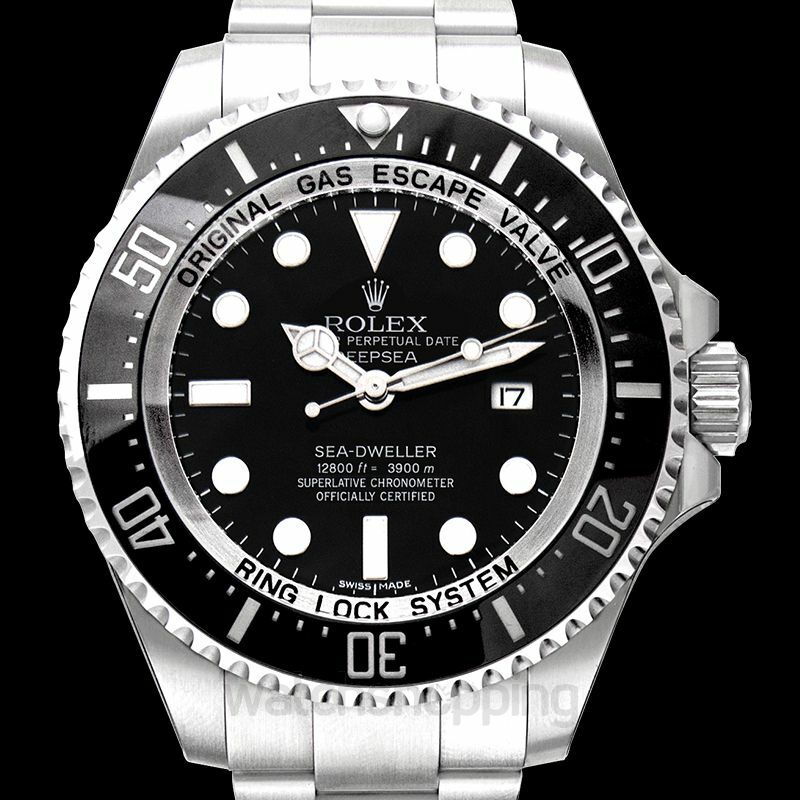 The dial is covered with a scratch-resistant sapphire crystal while the oyster case is fully waterproof. 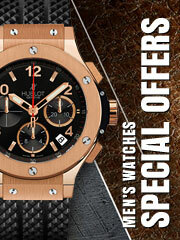 This ensures the durability as well as the safety of the watch. Equipped with the Calibre 3135 self-winding automatic machine, the Rolex deepsea is the perfect addition to make to your watch collection.